Our company is an experienced name, which is counted among the top Exporters and Suppliers of Frozen Pork Boneless Meat from Thailand. Our Frozen Pork Boneless Meat is free from all types of contaminants, adulterants and preservatives. It is stored in well-maintained cold storage space. It is highly demanded by the buyers due to its high nutritional value and longer shelf life. 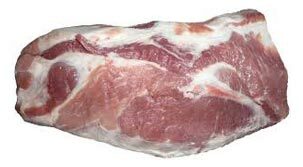 We provide Frozen Pork Boneless Meat at a very reasonable price.